Registrations for this event have now closed. 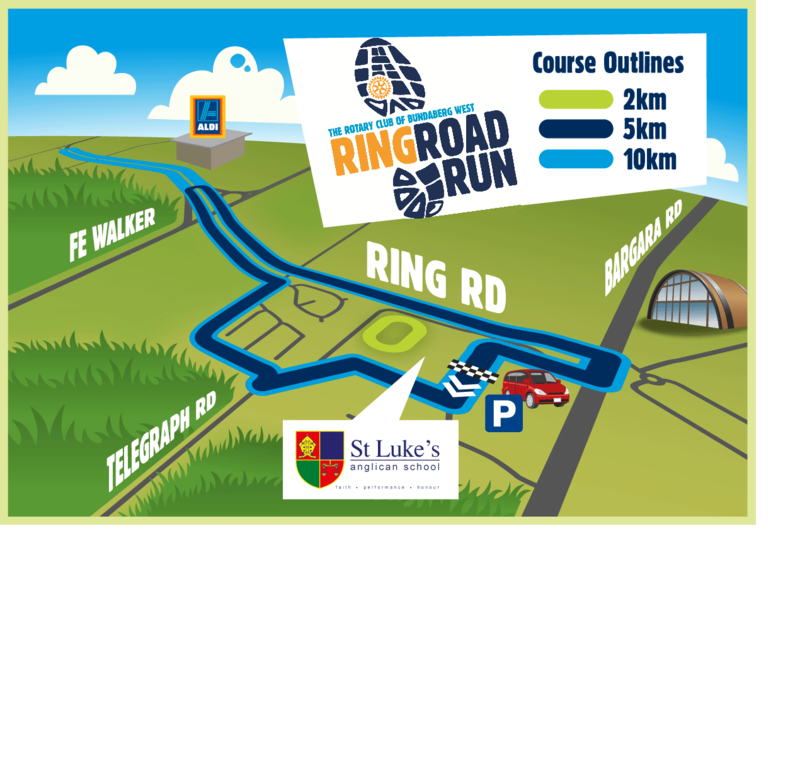 Please contact the event organiser by Email (admin@ringroadrun.com.au), or by Phone (0488197400) regarding any changes. ONLINE ENTRIES ARE NOW CLOSED - LIMITED LATE ENTRIES WILL BE AVAILABLE AT THE EXPO! The Ring Road Run is an annual event with the new date scheduled on Sunday 11th June 2017 and is a project of the Bundaberg West Rotary Club. Due to the success of the 2015 partnership with The Move It Expo we will once again be partnering with them. The Move It Expo will be held on Saturday 10th June 2017 incorporating our Bag Pick Up Day. So now during the weekend of June 10th and 11th the Bundaberg community and region get double the value and double the fun of both events. Mark your calendar now. Run either 2, 5 or 10k on the pristine Ring Road and have some fun with family and friends. All proceeds will go to the RACQ LifeFlight Helicopter, Leukaemia Foundation and Rotary Club of Bundaberg West. 6:30am: Registration Opens - FINAL opportunity for Bag Pick up. 7:15am: 10km Sporting Wheelies Start. 7:50: 10km Walk or Run start. 8:15am: Bundaberg Radiology 2km Race Start. Late online entries accepted up to 5pm the 5th June, entries received after 8am Friday 2nd June will be charged full entry fee. Race day entry is not guaranteed and will be at the discretion of the Race Director, subject to numbers closing prior to the event.